Electron microscope image of the memristor array. Credit: Yeonjoo Jeong, Nanoelectronics group, University of Michigan. "Historically, the semiconductor industry has improved performance by making devices faster. But although the processors and memories are very fast, they can't be efficient because they have to wait for data to come in and out," said Wei Lu, U-M professor of electrical and computer engineering and co-founder of memristor startup Crossbar Inc.
Computers with these new blocks, which the researchers call "memory-processing units," could be particularly useful for implementing machine learning and artificial intelligence algorithms. They are also well suited to tasks that are based on matrix operations, such as simulations used for weather prediction. The simplest mathematical matrices, akin to tables with rows and columns of numbers, can map directly onto the grid of memristors. "We get the multiplication and addition in one step. It's taken care of through physical laws. We don't need to manually multiply and sum in a processor," Lu said. 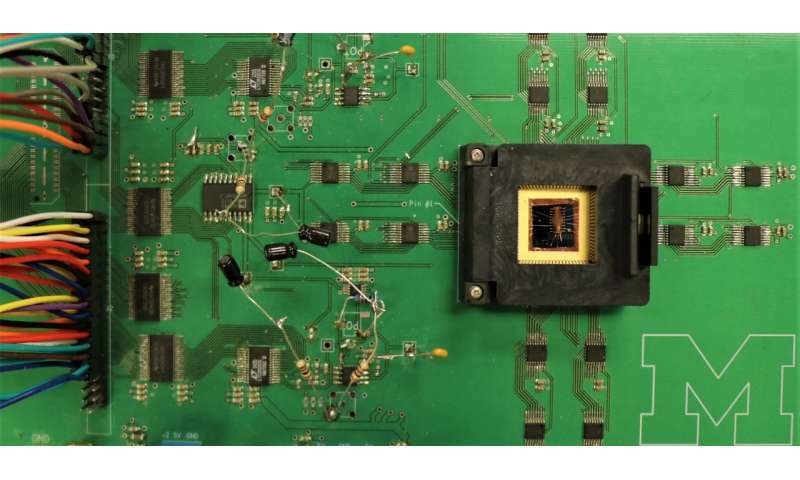 His team chose to solve partial differential equations as a test for a 32x32 memristor array—which Lu imagines as just one block of a future system. These equations, including those behind weather forecasting, underpin many problems science and engineering but are very challenging to solve. The difficulty comes from the complicated forms and multiple variables needed to model physical phenomena. When solving partial differential equations exactly is impossible, solving them approximately can require supercomputers. 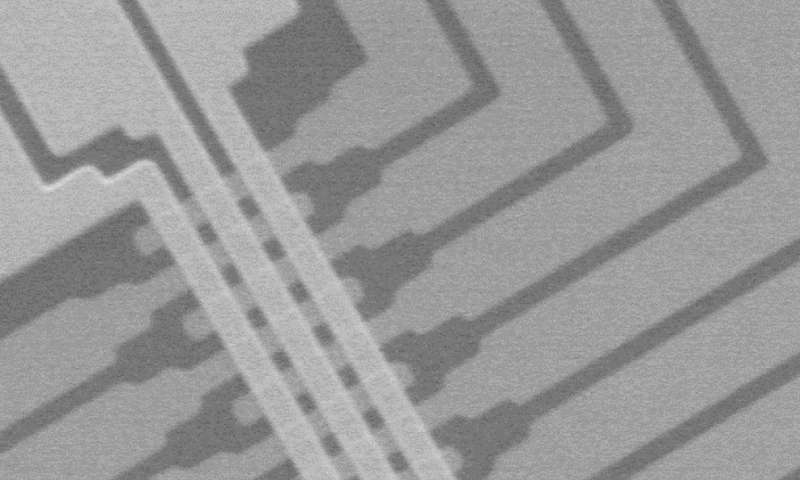 These problems often involve very large matrices of data, so the memory-processor communication bottleneck is neatly solved with a memristor array. The equations Lu's team used in their demonstration simulated a plasma reactor, such as those used for integrated circuit fabrication. This work is described in a study, "A general memristor-based partial differential equation solver," published in the journal Nature Electronics.